It is important to have good sleeping equipment on backpacking trips because it keeps you warm and comfortable during the nights. A sleeping bag is the most important piece of sleeping equipment; if you use a low-quality sleeping bag, your nights outdoor will not be comfortable even if you are using other sleeping equipment (sleeping pad, tent etc.) of the highest quality. A sleeping bag traps the body-warmed air and thus keeps you warm throughout the night. In summer when the temperatures are high, you can use a thin summer sleeping bag because it will provide enough warmth for the season. Summer sleeping bags are typically also lighter and less expensive than more insulated 3-season sleeping bags or winter sleeping bags. In this review we selected the best summer sleeping bags to make your buying decision a little easier. We only listed lightweight summer sleeping bags which come for a great price. 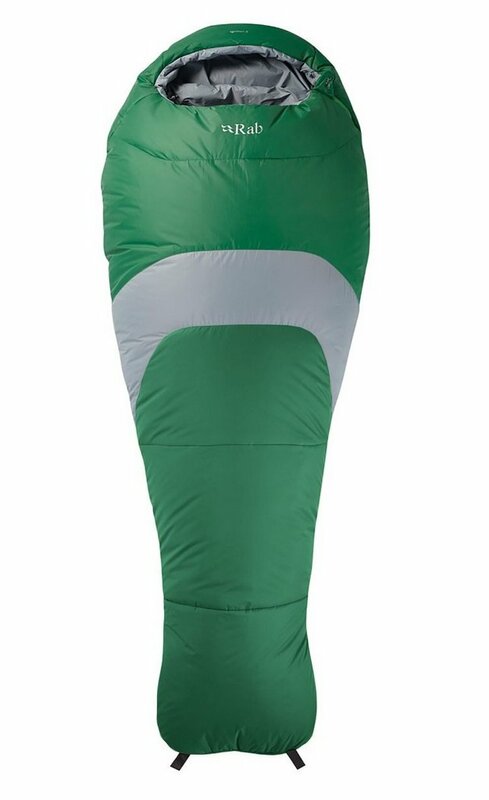 Please note that these sleeping bags are only suitable for summer use at low or mid altitudes (they provide enough warmth for temperatures down to 41° F (5° C). If you are looking for a warmer sleeping bag, check out our review of the Best 3-season Sleeping Bags instead. 1. 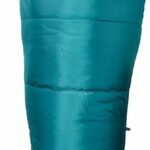 Buying a Summer Sleeping Bag for Backpacking – What is important? Sleeping bags utilize either synthetic or down insulation. Down sleeping bags have a better weight-to-warmth ratio and pack smaller than synthetic sleeping bags. However, down sleeping bags also have downsides; they quickly lose their insulation if they get exposed to moisture and are quite pricey. Summer sleeping bags typically utilize synthetic insulation because they are in general very light and pack small (they use less insulation material than for example 3-season sleeping bags) and thus it does not make sense to use expensive down insulation in summer sleeping bags. Synthetic insulation is made of polyester fibers that mimic down clusters. Synthetic insulations differ in quality – a high-quality synthetic insulation can have similar heat-retaining properties as 650 fill power down. Polyester absorbs very little moisture (only “up” to 0.4% of its own weight) and therefore synthetic insulation retains warmth even if it gets wet or exposed to moisture. Summer sleeping bags are in general light because they require less insulation material than sleeping bags for lower temperatures. The weight of a sleeping bag depends on the quality of its insulation (warmth-to-weight ratio) and the amount of it. If a low-quality insulation is used, more of it is required for the same warmth. In this review of the best summer sleeping bags we only listed lightweight products. The outer layer of the sleeping bag should provide protection against abrasion and repel water, so the sleeping bag does not get wet if exposed to moisture/rain. The outer layer should be also breathable to prevent condensation from building-up on the inside. Sleeping bags usually come in two sizes (Regular and Long). You should generally go for size L if you are taller than 6 ft. (180 cm). However, always check the sizing before making a purchase. 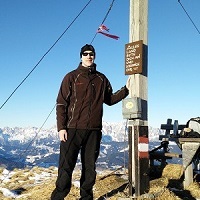 Sleeping bag manufacturers usually list temperature ratings by the EN 13537 standard which means that their products went through a standard (and independent) laboratory test where it was determined for which temperature range they are suitable. The EN 13537 standard has four different ratings; extreme temperature (the average woman will survive), lower limit (the average man will be comfortable), comfort temperature (the average women will be comfortable) and maximum temperature (overheating limit). Sometimes manufacturers use their own tests instead of the EN 13537 test. However, these tests tend to be inaccurate. 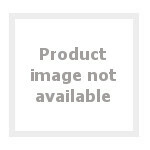 In this review we only listed summer sleeping bags that were subject to the EN 13537 test. There are several different styles of sleeping bags; mummy, quilt, wearable and envelope. 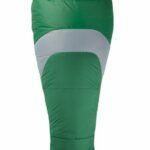 In this review we only listed mummy sleeping bags because this type of sleeping bags offers the best versatility. The Millet Baikal 750 is a very light summer sleeping bag (it weighs merely 1 pound and 11 ounces) with a great warmth-to-weight ratio. The sleeping bag utilizes high-quality synthetic insulation made of SuperMix silicone coated fibers. These fibers efficiently repel water and thus the Millet sleeping bag provides good warmth even if it gets exposed to moisture. The outer layer of the sleeping bag is made of 40-denier nylon for good abrasion resistance. The sleeping bag is equipped with a full-length side zipper, anti-cold flap, shoulder collar, anatomically shaped hood with dual drawcord and an inner pocket. The Millet Baikal 750 sleeping bag is perfect for outdoor enthusiasts who want a warm but light and compressible sleeping bag for summer adventures. The Marmot NanoWave 55 is an inexpensive summer sleeping bag which is perfect for occasional adventures in high temperatures. It is even lighter than the Millet sleeping bag mentioned above but on the other hand it is also less warm. The Marmot NanoWave 55 sleeping bag features a nylon outer layer and an inner layer made of a comfortable polyester fabric. The SpiraFil insulation is between these two layers. SpiraFil insulation was developed by Marmot and uses a blend of large spiral hollow fibers and small polyester fibers. This creates good loft and thus the sleeping bag efficiently retains warmth. The Marmot sleeping bag is equipped with a full-length two-way zipper, hood drawcord and two hang loops for drying. Due to its low price, the Marmot NanoWave 55 sleeping bag is perfect for those who are new to backpacking. The Rab Ignition 41 sleeping bag differs from the sleeping bags above by insulation – it uses an insulation material of higher quality. Therefore, this sleeping bag is also suitable for spring and fall, if the temperatures are not too low (minimum 32° F). The Rab Ignition 41 utilizes the Pyrotec insulation which provides great loft, packs small and is hydrophobic (water repellant). The sleeping bag has an outer layer made of lightweight but durable 30-denier ripstop nylon. The Rab sleeping bag is also equipped with a durable half-length YKK zipper, anti-snag zipper tape, internal collar, hood drawcord and an angled footbox. The Rab Ignition 41 is a great sleeping bag because it provides great warmth for its weight. We recommend it to hikers, mountaineers and backpackers who want a versatile sleeping bag for their adventures. The North Face Aleutian 40 summer sleeping bag weighs approximately the same as the Rab Ignition 41 but provides less warmth. However, it is also less expensive and thus best for outdoor enthusiasts who don’t want to spend too much money on sleeping equipment. The North Face Aleutian sleeping bag features the Heatseeker Eco insulation which packs small and has a good warmth-to-weight ratio. The Heatseeker Eco insulation is, as the name suggests, also ecofriendly – it consists of recycled material. The North Face sleeping bag is equipped with a full-length zipper on one side and a short zipper on the other side. This gives you great venting options. In addition to that, the North Face Aleutian 40 sleeping bag features an anatomically shaped footbox and a draft collar for increased insulation. The Kelty Tuck 35 summer sleeping bag is heavier than the sleeping bags mentioned above but it is also suitable for lower temperatures – it has an EN lower limit at 30° F. The sleeping bag utilizes the ThermaPro synthetic insulation which retains warmth even if it gets exposed to moisture. The outer and inner layers are made of 75-denier polyester. The sleeping bag also has a hood, natural fit footbox, media pocket and a zipper draft tube. It comes with a stuff sack and when packed it measures only 7 x 12 inches. The Kelty Tuck 35 is a great option for those who don’t mind carrying a little more on their backpacking trips.